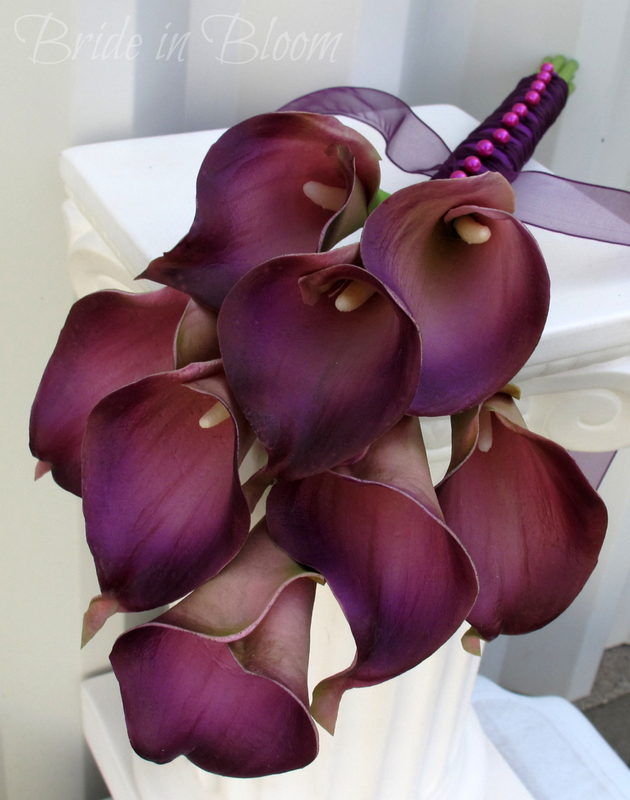 This egglant plum calla lily bridesmaid wedding bouquet is designed from our real touch flower collection. 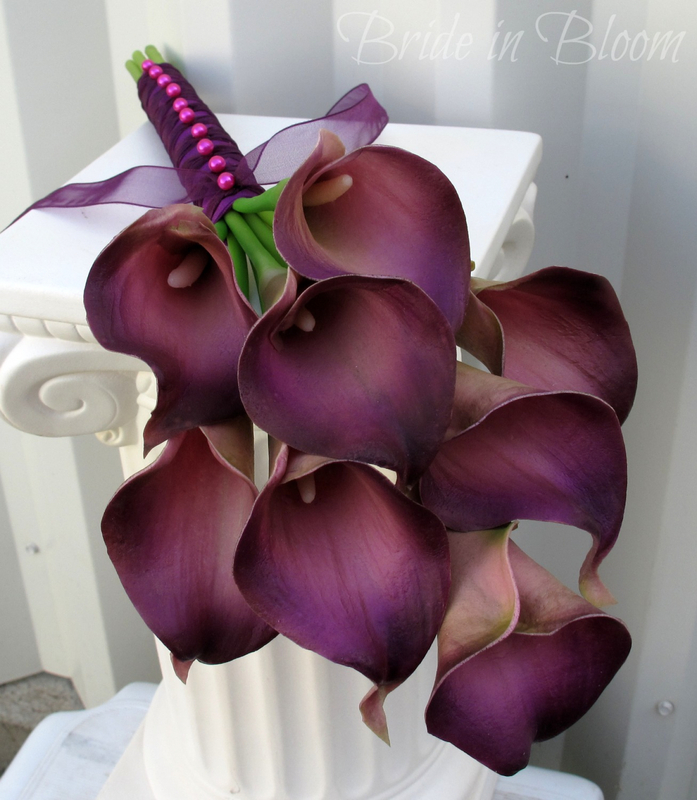 These callas are so soft to touch & look very real, you are sure to love them. 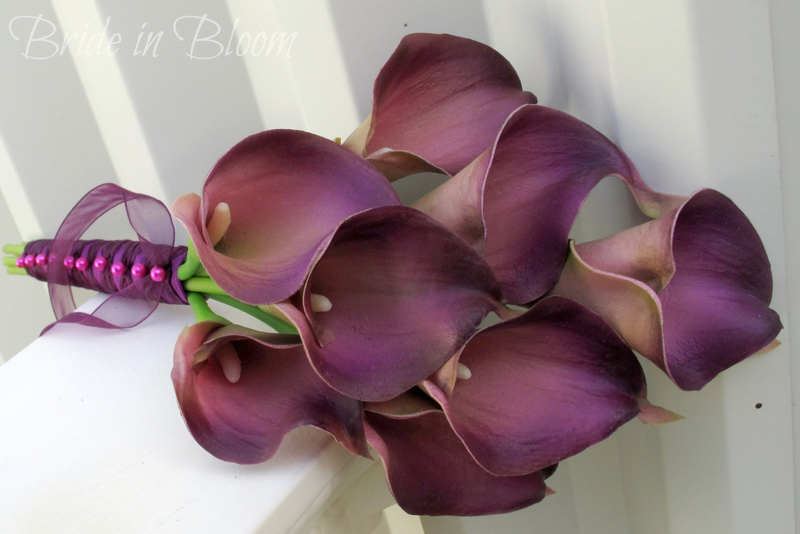 There are 8 eggplant plum mini calla lilies in this bouquet, with each lily bloom measuring 2". 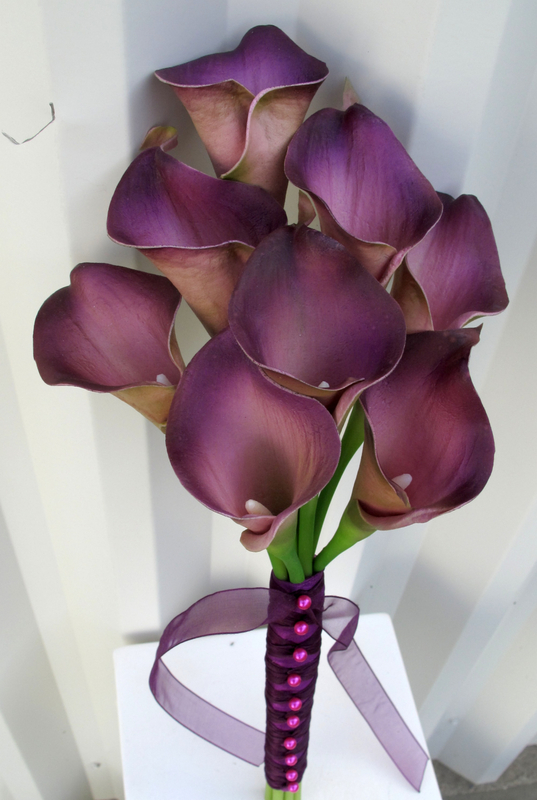 Handle treatment is wrapped with purple shear ribbon and a plum twisted overlay ribbon with fuchsia pearl pins to finish. ( pins also available in grape purple or silver ) Please state preferance in comments box upon ordering. Bouquet Measures 6" ( 16 cm ) wide x 12" ( 31 cm ) tall.